What is M4V file? Is it able to be freely played with any media players? When you are going to play videos on your computer, you may find some video files in M4V format which is not as familiar as those common video files like MP4, MOV, AVI, FLV and WMV. So, there will be a question similar to the one mentioned above. Actually, M4V is also a common video container just like MP4 and AVI. Apple developed this format to encode TV episodes, movies, and music videos in the iTunes Store. The M4V video container is close to the MP4 with the same MPEG-4 video codec, except for the FairPlay DRM copy protectionfrom Apple. That is to say, most of the videos in M4V format are not able to be freely transferred or played in non-Apple devices due to the DRM. So, to answer the question, we need divide the M4V videos into two parts. Part 1: How to play non-DRM protected M4V videos on Windows Media Player? For those common M4V videos which are not protected by DRM, it is simple – just open them with Windows Media Player for enjoying. Because the Windows Media Player supports many common video formats for playback, and the M4V is also included. Another way to play M4V videos on Windows Media Player is to change the filename extension from .m4v to .mp4 before playing them. However, not all of video players are compatible with the M4V files since the M4V videos are also encoded with the AC3 audio codec which is not standardized for the MP4 container. So, you may need a M4V video converter for help. Any Video Converter Ultimate is just a top Windows M4V video converter which helps you convert unprotected M4V videos to MP4, MOV, AVI, and WMV for playing on Android phones, tablets, Windows RT phones and tablets. Part 2: How to play iTunes DRM M4V videos on Windows Media Player? When it comes to the M4V videos which are purchased from iTunes store, removing DRM from iTunes M4V videos is the only way to make it possible to play iTunes M4V video on Windows Media Player. You need a useful DRM removal tool on Windows if you want to get rid of DRM and play iTunes M4V videos on Android devices or video players. 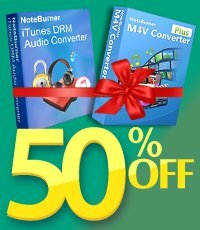 NoteBurner M4V Converter Plus for Windows is just the best iTunes DRM M4V video converter on Windows. It is a good assistant for you to remove DRM from iTunes M4V videos and convert iTunes M4V to MP4, AVI, and WMV for playing on Windows Media Player. Part 3: How to Remove DRM and Convert iTunes M4V to MP4? Import the M4V videos you have downloaded from iTunes Store to the program. Click the "Add Movies" button on the upper left and choose the video you need to convert in the pop up dialogue box. NoteBurner iTunes Video to Windows Media Player converter provides flexible options to customize the output video file. You can change the video codec, bitrate, size or even clip the part you need to convert. Now you can press the "Lossless MP4" button or other selected formats to start converting M4V iTunes movies to MP4 or other Common Video Formats. After it is done, you can play them with Windows Media Player or other video players smoothly! What's next? Download NoteBurner iTunes M4V to Windows Media Player Converter now!